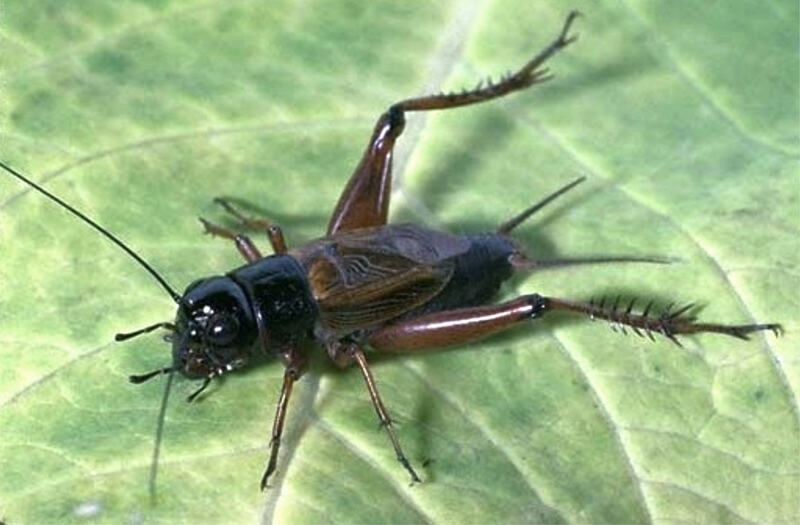 The Washington DC Baltimore Cricket Crawl is an annual summer phenology event hosted by the groups Discover Life, Audubon Naturalist Society and the Natural History Society of Maryland. Although a bit south of the targeted area of observation, I have enjoyed participating in the Cricket Crawl for the past three years and have received nice feedback from the projects’ collectors to whom I sent data. I learned of the Cricket Crawl through our Headwaters chapter, where it is an official volunteer project! The purpose of the project is to conduct a cricket and katydid census by recording the calls that observers hear within a one-minute interval on a specified August night. This citizen science project achieves area wide monitoring and records annual night insect behavior over time and in various regional habitats. Participants learn the calls of eight target crickets and katydids species. The project website, provides pictures of these insects and fun downloadable sound clips for learning their calls. After time spent learning the calls, it is counting time! On the specified August night, this year, August 22, observers take out their flash lights, stop watches and notepads to record which of the eight target species they heard calling during a one minute time frame. They then send in their collected data by telephone, email or website. This year I heard the Field Cricket, Japanese Burrowing Cricket, Jumping Bush Cricket, Fork-tailed Katydid and Oblong-winged Katydid. I missed hearing my favorite caller this year, the Greater Angelwing, which makes a sound like a rapidly bouncing ball. Excitement builds each year near the count date as the Cricket Crawl organizers send emails with details on how to record and transmit the count data. The project has a fun Facebook page (https://www.facebook.com/CricketCrawlDCBaltimore) with lots of great cricket and katydid photographs all year as well as images from the organized cricket count events that occur in Northern Virginia during August. Participants are later provided with results of the data. This year 550 observations were received! I recommend the Cricket Crawl as an engaging and simple volunteer project. It has been great fun to be able to recognize cricket and katydid calls on summer nights and it was satisfying to volunteer in the annual cricket census. My mother helped me record while visiting one year and we both enjoyed this easy naturalist activity that can be done in one’s own backyard with minimal training and supplies already on hand. A couple of added notes from Stephanie should you have trouble distinguishing the different cricket calls: I’ve had to move a few times from the spot where I had planned to listen to another spot where the individual calls were more distinguishable. In the field behind my house, they all blended into one big sound! Another thing that happened was that the Cricket Crawl project site said that people with older ears may not be able to hear some of the katydid species due to their pitch. The year that Mom helped me, she was not able to hear all the katydid calls. We still had a great time though. August 28, 2014 in Projects.